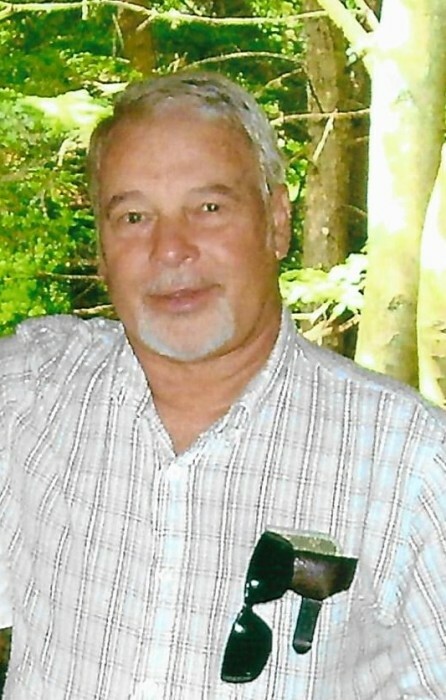 Hagerstown, MD – Donald Lynn Hott, 73, of Hagerstown, MD and formerly of State Line, PA passed away on Wednesday, January 16, 2019 at Doey’s House Hagerstown, MD after a courageous battle with cancer. He was born on August 29, 1945 in Hagerstown, MD to the late Elridge Taylor and Hypatia Virginia Keeney Hott. Donald was a 1963 graduate of Williamsport High School and played on the Baseball, Soccer, and Basketball teams. He was a veteran of the U.S. Army National Guard. He retired from Lucent Technologies in 2000 which was previously AT&T. Don loved the outdoors and went on many hunting and fishing trips with family and friends. He was a member of Mason Dixon Beagle Club, Communication Worker’s of America, and West End Hunt Club. He is survived by his wife of 52 years Dianne E. Sheeley Hott; son Dale L. Hott and his wife Rhonda of Mercersburg, PA; grandson Colton Hott of Mercersburg, PA; sister Beverly Coble of Pinesburg, MD; sister Teresa Mann of Hancock, MD; brother Roger Hott of Clear Spring, MD; brother Michael Hott of Pinesburg, MD. He was predeceased by a brother James Hott. A special thank you to all the nurses and nursing assistants at Doey’s House for their care and a “special thank you” to Charles for his compassionate and tender care. Also, a big thanks to Don’s family doctor and friend Duane Sipes and Oncologist Dr. Hamdan and Physician’s Assistant Amy Rowe. The family will receive friends at the Osborne Funeral Home 425 S. Conococheague St. Williamsport, MD on Monday, January 21, 2019 from 6:00-8:00 pm. The funeral home will be open after 12:00 (Noon) on Monday for the convenience of family and friends. Funeral services will be held at Osborne Funeral Home 425 S. Conococheague St. Williamsport, MD on Tuesday, January 22, 2019 at 2:00 pm with Rev. Dean Pryor officiating. Interment will be in Greenlawn Memorial Park Williamsport, MD.